Musicians who appear in subway stations from around the world have until this Friday in Sao Paulo, the first edition of Red Bull Sounderground festival, which will be happening on the lines Blue, Red and Green. The event will bring together 20 attractions and will be held simultaneously in eight other cities. 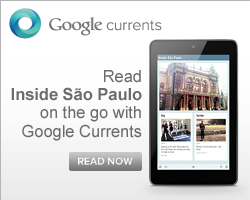 In São Paulo, the presentations will be from 11am to 1pm and 5pm to 7pm in ten stations. On Friday, the last concert will bring together all the musicians. To get to the cast of the festival, Marcelo Beraldo, the creator of the event, traveled 17 cities around the world, listening to the work of several musicians. The presentations will be all instrumental, with many styles, from reggae to tango, through pop, rock, blues and jazz. "Playing in the subway is supposed to be in real life. 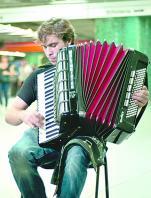 No one need to be invited to the concert and having a straight contact is priceless", said Anatol Eremciuc, who was born in Moldova and plays accordion in the stations of Barcelona. The musician blends the traditional music of Eastern Europe (his country lies between Ukraine and Romania) with the rhythms of the West. When: from today until Friday.